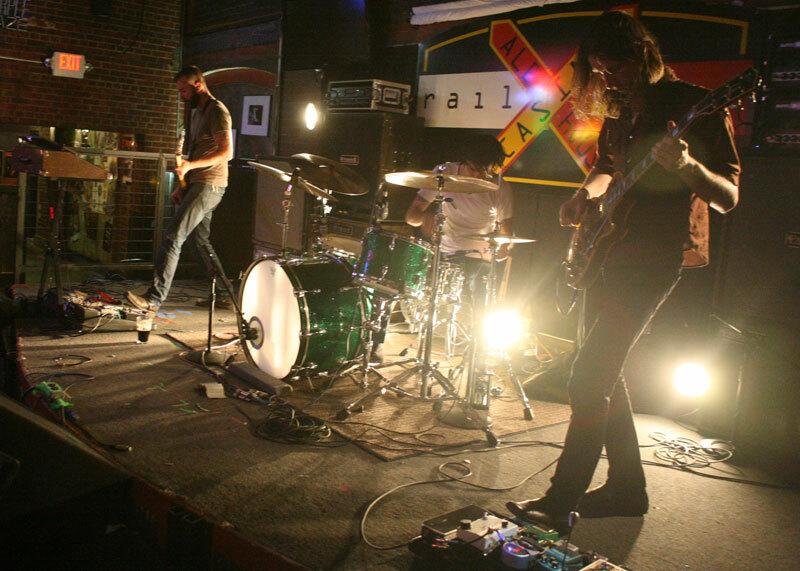 Chicago instrumental rock band Russian Circles in performance in Billings on July 6. 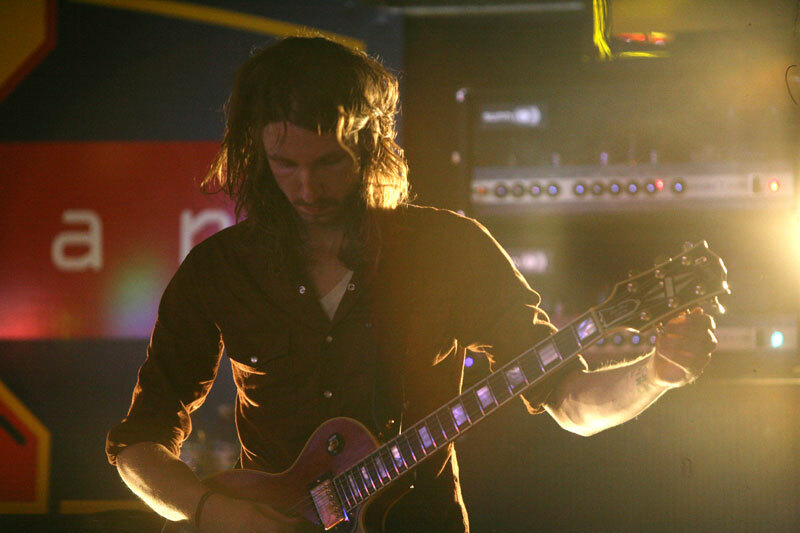 Russian Circles guitarist Mike Sullivan tweaks his guitar tuning during a live performance July 6 in Billings. 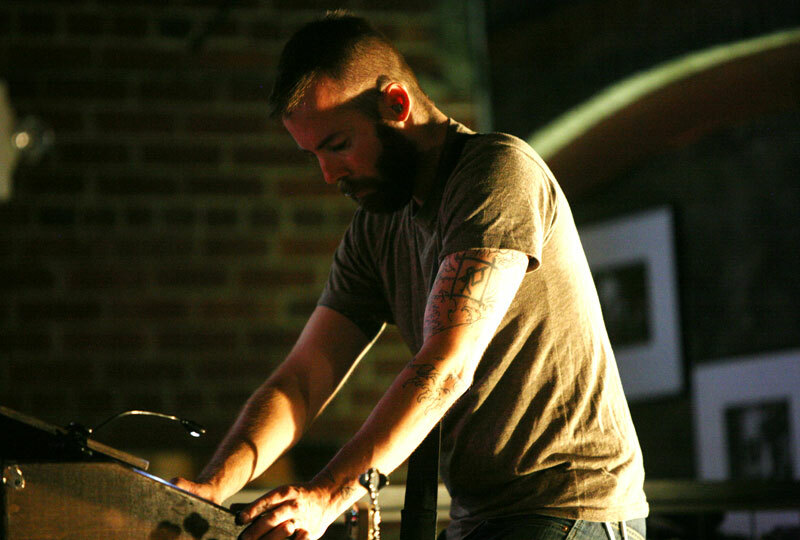 Russian Circles bassist Brian Cook at the helm of keyboards during a July 6 performance in Billings. Russian Circles had no words for Billings. Turning the spotlights outward to the crowd, the Chicago three-piece illuminated our faces as we watched them loop their way through a wordless set of post rock hypnotica. Russian Circles may lack in words, but the drummer is a machine, the guitarist a stringy-haired sexpot of reverberation, and the bassist/keyboardist a seething pillar bearing the weigh of the band’s enormous sound. Such dimensional rock, made from layers upon layers of sound—both guitarist and bassist run loops through pedals—seems immense against their stark backdrop of glaring yellow lights and six flailing arms. The band’s discography stretches back to 2004 and they played a diverse collection of songs, including music from their October 2009 release, “Geneva.” The album is sprinkled with cello, violin, and horns, and the lack of such instruments on stage only further weighed down the sound. When the band closed with the epic “Geneva,” from the release of the same name, the sound wall was so thick you could almost stand against it.